RIM's upcoming release of the BlackBerry Storm is garnering more interest than the recently released T-Mobile Android G1, according to users' searches. Admittedly, this is in the US, where the G1 handset has been out for a little while and inevitably interest has fallen, but nearly four times more people are searching for the term 'Blackberry Storm' compared to 'G1', according to analytics firm Hitwise. It seems that users are more interested in calling the Android handset the 'Google phone', which might annoy T-Mobile and the other members of the Open Handset Alliance that developed the OS. In fact, G1 is even less popular than searches for 'BlackBerry Bold', even though that phone has been around for a while. 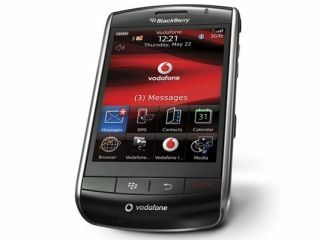 The trend for searches on the BlackBerry side have tended to be looking for information from carriers and RIM itself on release dates, whereas the public seems to want to find reviews and opinion on the Android G1. The report also threw up another interesting fact: people are still looking for the BlackBerry Thunder, seemingly unaware that this is now the BlackBerry Storm... perhaps RIM should have been more obvious when announcing the device.